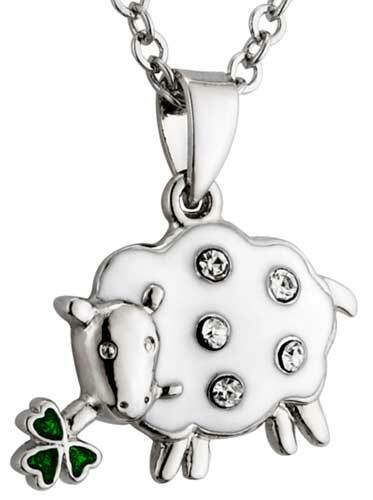 This shamrock necklace features a sheep design that is accented with white crystals along with green enamel. The white enamel shamrock pendant measures 5/8" wide and it includes an 18" long rhodium plated chain. 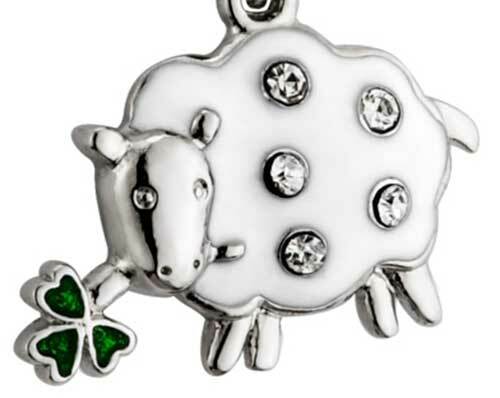 This rhodium plated lamb necklace is made by Solvar Jewelry in Dublin, Ireland and is gift boxed with a shamrock history card, complements of The Irish Gift House.